A Japanese dream exists as two individual unique books. And I have added a third book titled ‘Another Japanese Dream’. 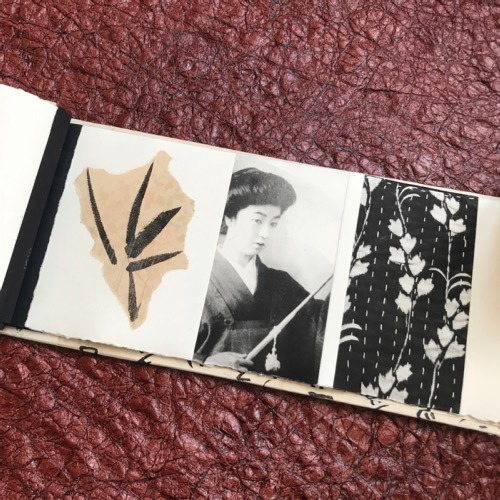 One in leporello format with 31 black and white photogravures of plate size: 6.5 x 12 cm printed on Zerkall Wove off white 340gr + colophon, with hardbound cover wrapped in old washi paper with block printed buddhist prayers. Size: 11.3 x 16.7 cm x total length 196 cm with images on both sides. For protection it is nested in an old red Japanese lacquer / urushi box. 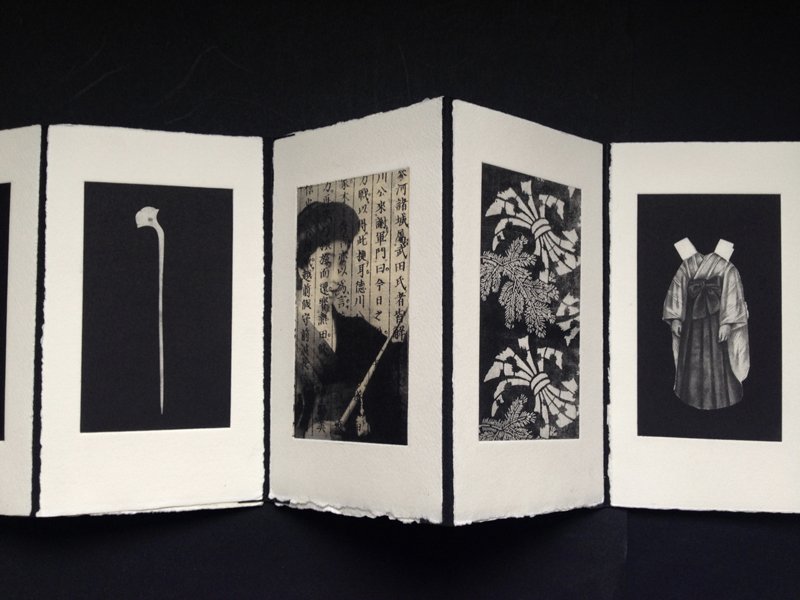 Then there is a smaller version still leporello format with 15 black and white photogravures of which some are printed with chine collé on Zerkall Wove off white 340g, plate size as above, 7 gravures on one side and 8 on the other. Format: 10 x 17.5 cm, full length: 80 cm. 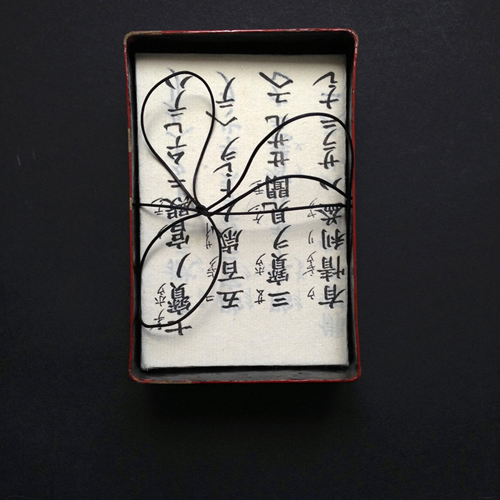 This book is wrapped in an old handwritten piece of Japanese Mulberry paper. 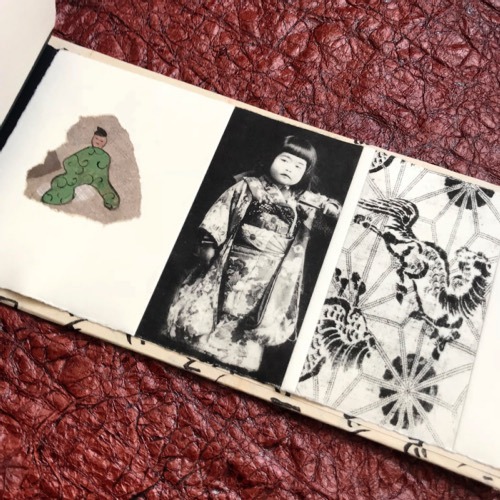 The third book Another Japanese Dream has a larger format and two photogravure prints on each side + collage / chine collé. It measures 12.5 x 28.5 x 2 cm with 18 pages and approx two prints per pages. It appears in the three last photos. All printed and bound in Copenhagen during 2016/2017. As this is an ongoing project more books are likely to follow.